3on3 Game Schedules (See below: will be posted July 11). 3on3 Roster Form (Requires Parent Signature). To navigate your Team Schedule, select the "Team" tab in the horizontal menu above, then select your Division, and then your Team. Once you have selected your Team, click on "Schedule" on the left menu to view your team's schedule. Team Registration opens March 27th ($325 per team). Registration Deadline for 2019: July 5 (late fee of $25 for registration after July 5; last day to register: July 7 - or when we reach 120 teams). Minimum of 3 players, Maximum of 8 players. Games Only: Mondays, July 15 through August 12. Games Monday Nights, 5:00pm to 10:00pm (we will work with teams to not conflict with other sports; submit schedule request when you register online). Divisions are "Grade-Based," please register to play in the Grade your team will ENTER in the FALL of 2019 (NOT in the grade they finished this spring). Divisions for Boys and Girls of Youth Teams: 2nd through 8th Grade. Gold and Silver Divisions will be created when number of teams allows. Divisions for High School Girls: all together in one division. Rules: See 3on3 Rules link above. Game Dates: July 15, July 22, July 29, August 5, and Single-Elimination Tournament August 12. Single Elimination Post-Season Tournament: Monday, August 12 from 5:00pm to 10:00pm; teams seeded based on regular-season games. Awards for Players on the 1st and 2nd Place teams of the Single Elimination Post-Season Tournament. 2019 3on3 Summer League Registration Fee is $325 per team. 2019 Deadline to Register is July 5th, late fee of $25 will apply to all registrations submitted after 11:59pm July 5. Registrations received after the registration deadline will be placed only if space is available. The last day to register is July 7th. 120 team maximum in this league. Please note that if we have not received payment within 24 hours of your registration, your information will be removed from the system, and you will not be registered. Please be sure to complete the payment portion of your registration the day you register. A $30.00 or 5% fee (whichever is greater) will be charged for any team withdrawing from the league prior to the registration deadline. Refund requests for withdrawing prior to the registration deadline must be in writing, emailed to JPSports. NO REFUNDS WILL BE ISSUED AFTER THE REGISTRATION DEADLINE: JULY 5, 2019 FOR ANY REASON. 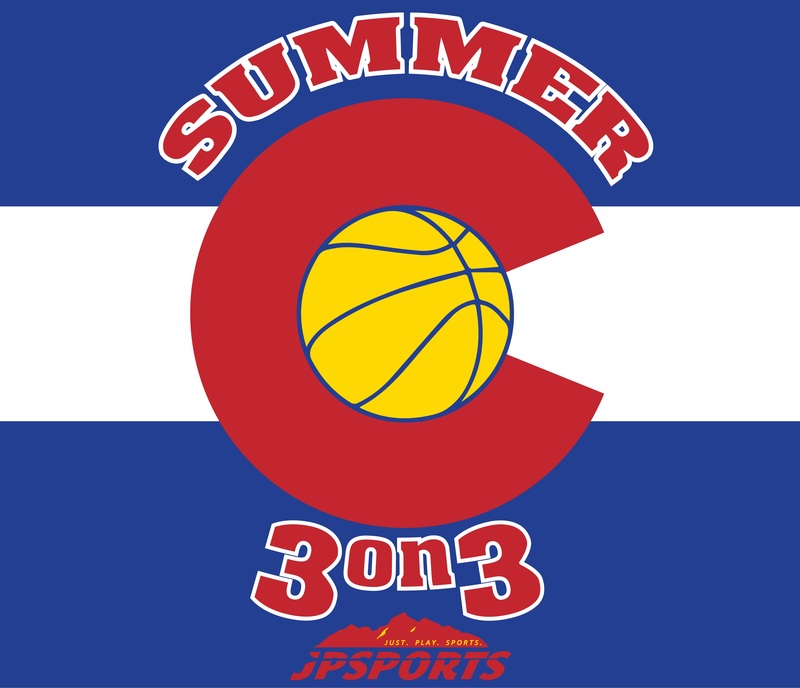 Game Schedules for the 3on3 League will be posted soon after the Registration Deadline, approximately July 11th. Check back often for updates. CHSAA High School Rules will apply except where modified within.